Saves downtime and the bottom line. 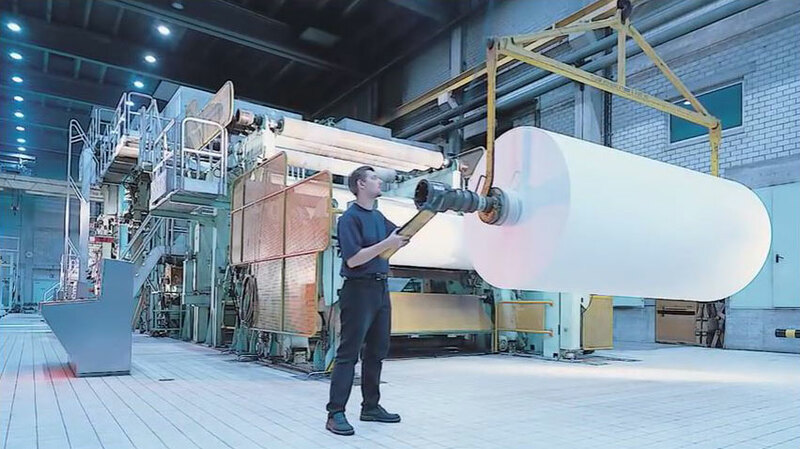 Glatfelter, a producer of high-quality paper products for over 150 years, utilizes hydraulics and hydraulic lubrication throughout their paper production lines. Glatfelter’s humble beginnings originated in Spring Grove Pennsylvania as a small paper mill processing 1,500 pounds of linen rags to create newsprint paper. Since then, the company has expanded and has become a global leader with locations throughout the world. Since its origins, Glatfelter has always been committed to being a truly sustainable company, continually meeting obligations and responsibilities to the environment, to shareholders and employees, as well as the communities in which they operate. It is Glatfelter’s commitment to continuous improvement that prompted action to find a better filtration solution for several of their lubrication units serving their production lines. 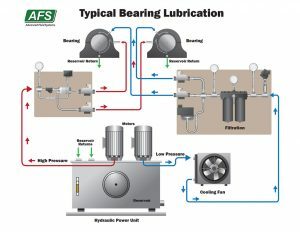 The production filtration schedule implemented on the lubrication units indicated that the filter elements were reaching capacity at a faster rate than desired. Maintenance techs were changing elements every 15 days. This was causing unnecessary downtime and added expense of not only man-hours but costs for additional filter elements. Glatfelter, having had a long-term relationship with Advanced Fluid Systems, called upon Sales Engineer Jim Vaughn Jr. With consultation of Hy-Pro Filtration, Mr. Vaughn set up a portable particle counter which showed an initial ISO code of 22/19/14. This rating showed that the current filter elements were not removing the particulate ingression effectively. Analysis of the filter elements showed that they were reaching capacity without filling the element with particulate. Taking the advice of Mr. Vaughn, Glatfelter agreed to switch filter elements to Hy-Pro for testing purposes. After the installation of the new Hy-Pro elements, the ISO code quickly dropped to the target 16/14/10. While the previous filter elements were as effective in initial particulate removal, time showed that the Hy-Pro elements were lasting three times longer, 45 days before full capacity. ISO Codes before and after Hy-Pro installation on system one. The element change interval has significantly improved using the Hy-Pro elements. ISO code levels continue to fall, and element life continues to increase due to the ability to capture more particulates. Glatfelter has implemented Hy-Pro filtration on a second lubrication unit which has shown even better results. An ISO code of 13/10/6 was achieved after installation of Hy-pro elements on the second lubrication unit. Over time, the switch to Hy-Pro filter elements will save downtime and money. 1 year cost savings based on 1 year’s element usage. With on-call Sales Engineers and Field Service Technicians, AFS can quickly diagnose and resolve some of your toughest challenges. Contact us for more information.